Perfect stocking stuffer or gift for your favorite outdoorsman (or woman). *Multi-tool has sharp edges, for adults only. 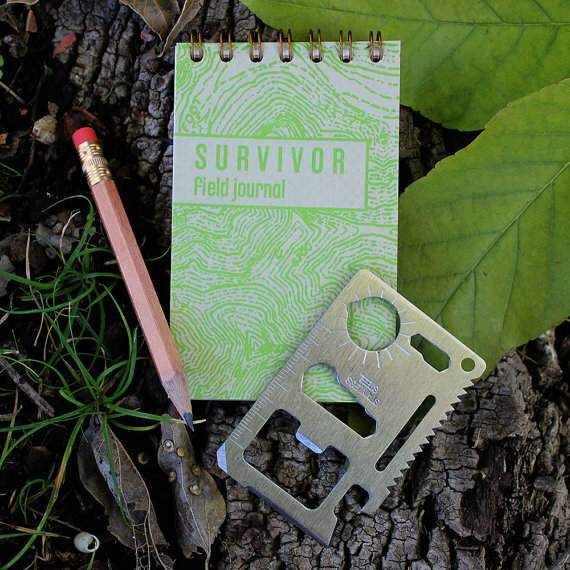 Tiny notebook (2.5" x 4") for keeping notes on your outdoor adventures. Comes with natural finish mini pencil and a credit card size multi-tool. Comes with pouch to store multi-tool.